Before I forget - there is a new template freebie up on my FB page for you - - and don't forget to sign up for my newsletter so you won't miss weekly exclusive freebies! 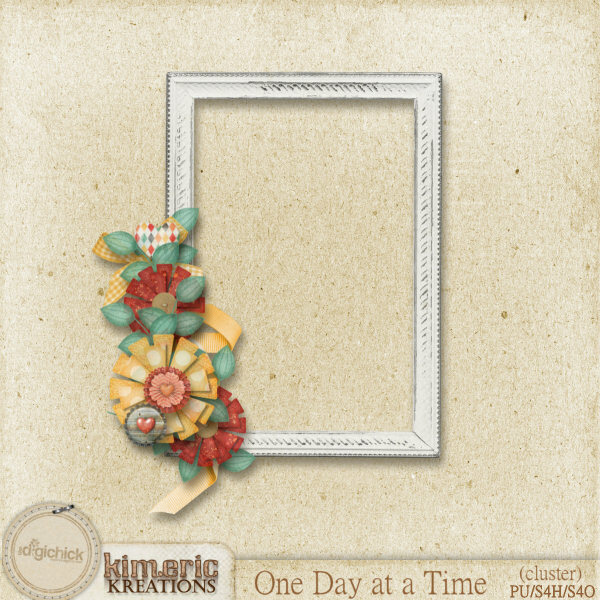 Thanks for the lovely cluster frame "One Day at a Time." Thank you so much for this post. I want to let you know that I posted a link to your blog in CBH Digital Scrapbooking Freebies (please, notice the new url for my blog), under the Page 3 post on Sep. 10, 2012. Thanks again.